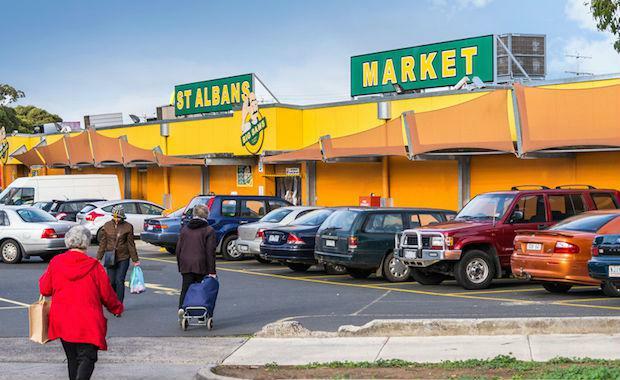 A St Albans retail property has sold at auction to a private Victorian investor for $8.11 million. The property was strongly contested by nine different parties and the sale translated to a strong passing yield of 5.58% and a building rate of $6,048 per square metre. The popular market site covers 6,242 square metres and features a 1,775 square metre retail market comprising 19 stalls, as well as a 445 square metre freestanding liquor store. CBRE Victorian Retail Investments agents, Mark Wizel, Justin Dowers and Rorey James, said the successful sale was further evidence of strengthening market conditions. “This sale is another signal that the market is willing to pay premium prices to secure non-core assets, with the continued lack of supply of prime retail investments creating a significant supply/demand imbalance,” Mr James said. “There is a lot of confidence in the retail market in general. Positive news in consumer spending is leading to more people wanting to grow and start retail businesses, which is underwriting demand in both retail investment and development”, Mr Dowers said. The property is located in the heart of St Albans, an established Melbourne suburb approximately 17km north-east of the CBD.